For the recent year, with the fiery growth of wine consumption market, wine is no longer a simple commodity for consumption; it is considered to be a measure of making money, an investment product. Wine banks are quietly rising to give the opportunity of earning profits for some investors. One example is the Fanxingzhiye Wine and Art Guild Hall at Dongjiang Wanjing District in Tianjin, which is run as the form of wine bank that is already popular in some western countries. The Guild Hall covers 2,800 squaremeters area and is comprised by a wine cellar and an art salon. 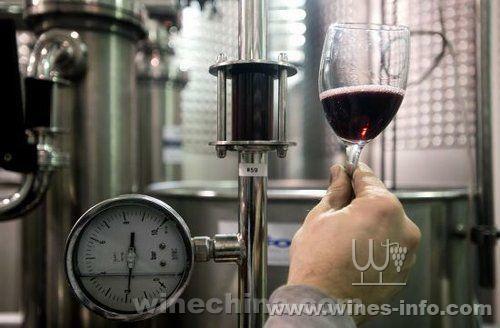 Some says, in China, 90% of wine consumers do not know how to store wine collectly. Wine barnks provide such storage space and services to the customers that they don't have to worry the wines they own go bad because of inappropriate storage. These banks track the daily temperature and humidity of wine cellars and make records on the ins-and-outs of the wine bottles. And there are specialists work in the wine banks to provide professional consultancy to customers. According to the sources concerned, for the past decade, the rate of returned profit of wine investment has been around 500%--significantly higher than that of gold investment.